'US should not send troops to Syria' Jump to media player The United States has accused the Syrian government of using chemical weapons, including the nerve agent sarin, against its opponents. Assad used chemical weapons, says US Jump to media player Syrian forces under President Bashar al-Assad have used chemical weapons "on a small scale" against the opposition rebels, the White House has said. 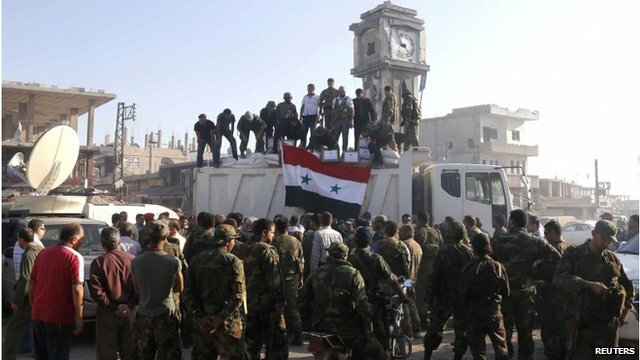 US: Syrian forces used chemical weapons Jump to media player Syrian forces under President Bashar al-Assad have used chemical weapons "on a small scale" against rebel forces, the White House has said. The United States has accused the Syrian government of using chemical weapons, including the nerve agent sarin, against its opponents. A White House statement said the latest intelligence suggested up to 150 people had been killed in a small number of chemical attacks. 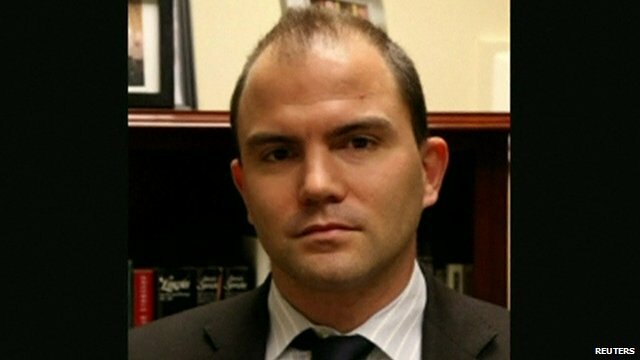 US Deputy National Security Advisor Ben Rhodes official said a red line had been crossed, and President Obama had decided to provide more military support to the rebels. 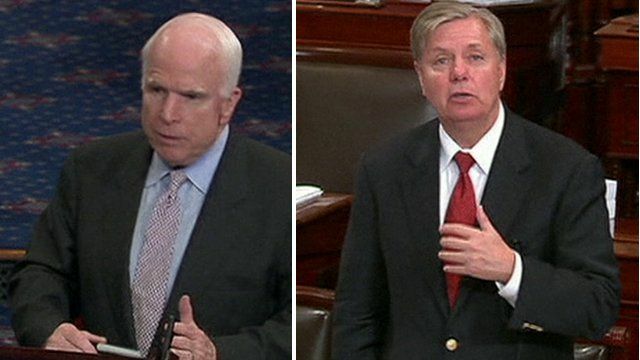 Senators John McCain and his fellow Republican Lindsey Graham have urged President Obama to respond by sharply increasing support for the Syrian opposition but stop short of sending US troops.